Since 2000, the NCHS JROTC started working on their own food drive, until they decided to do both 6 years later. This year, the NCHS JROTC won the Group of the Year award, an award that recognizes the JROTC for their hard work and dedication. “Our JROTC has the record time for the amount of work they’ve done,” says Sergeant Long. “It warms their hearts helping someone they don’t know. After the JROTC won the award, head of the GSA club (a club known for equality) Mrs. Long got involved by taking a few members along around the end of February to the Mountaineer Food Bank with Sergeant Long and the JROTC. 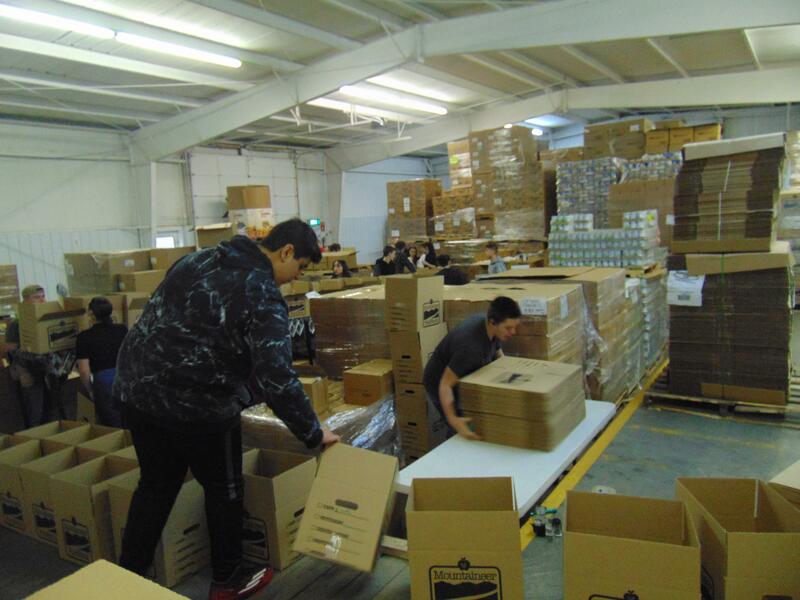 Both the GSA club and JROTC worked diligently taking only around a 15-minute lunch and breaking the record with 15,000 boxes packed and ready for those who need them. “It felt gratifying that simply sacrificing 5 hours of your day could possibly help people from starving,” says GSA member and NCHS student Bethany Nutter. This was the first time the GSA volunteered with the JROTC, so many students were surprised to be working in an assembly line like process. Although, this presented opportunity and team work. “We had the mindset that we’d take a break when we were done,” Bethany explains.